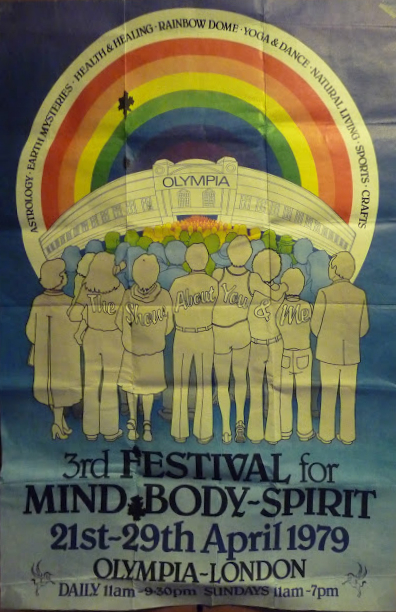 This advertisement for the 3rd Festival for Mind Body Spirit appeared in Alpha magazine (subtitled “Probes the Paranormal”) in 1979. 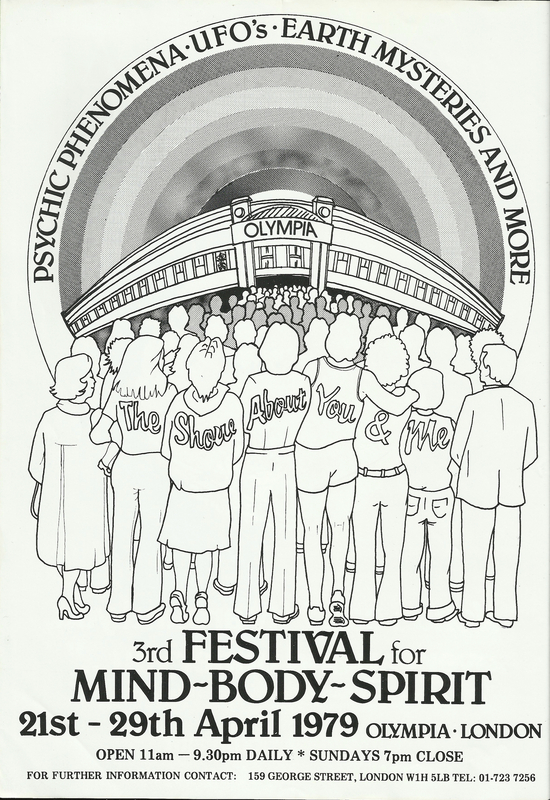 Its promise of “Psychic phenomena, UFO’s [sic], Earth Mysteries and more” was a slight shift in emphasis from the event’s official poster, which touted astrology, Earth mysteries, health & healing, yoga, dance, natural living, sports, crafts, and a “rainbow dome” featuring ambient music specially recorded for the event by Steve Hillage. The festival was founded in 1977 by Graham Wilson, a “new consciousness entrepreneur,” and Terry Ellis (possibly the same Terry Ellis whose tenure as head of London’s “child-centred” William Tyndale Junior School caused a national scandal that informed subsequent UK education policy) with the aim of promoting the relationship between religion, personal growth, the paranormal, spirituality, natural healing, and consciousness. The festival is still active today, albeit under different management. The venue—the London Olympia, with a capacity of 4,000-10,000 people—had been a temporary civil prison camp for German nationals during the First World War and a civilian internment camp during the Second, as well as home to the first British Electronic Computer Exhibition in 1958. Nice. Public domain, 1970s style. Why am I not surprised that you caught that?